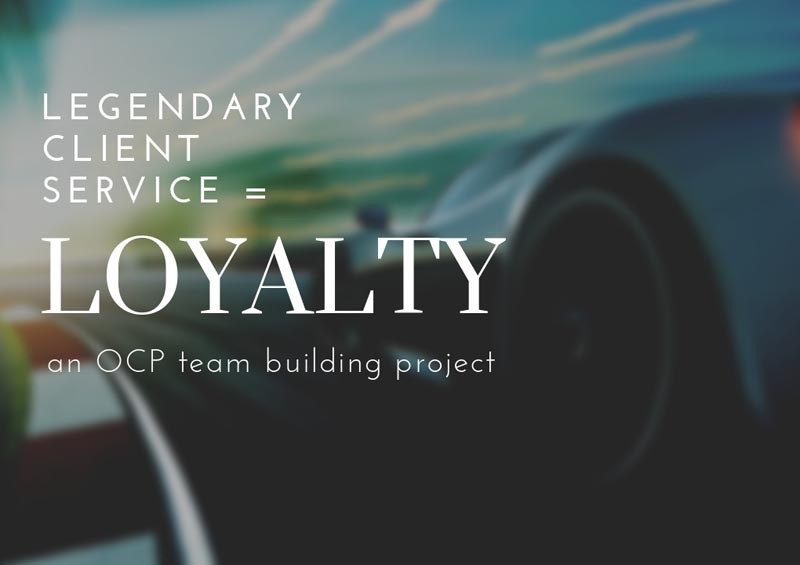 Create client loyalty by DELIVERING LEGENDARY CLIENT SERVICE. Make for extraordinary experiences by doing the unexpected and they’ll tell others about it. Dave O: Giving Legendary Customer Service Should be everyone’s goal. We are an extremely competitive environment. We won’t ever be the brand that is chosen for our price. This is a relationship business. Customer Service will be the single factor that we as salespeople have control over. Treating all customers as if they are your only customer is a good way, maybe the best to get there. Make every day a Customer Focus Day. Make your Customer Service so Great customers couldn’t imagine buying from another source. Don’t be their best vendor, be their partner. Scott D: This is definitely a relationship business. I also believe that to create client loyalty we must be loyal to our clients. Kevin P: I believe people don’t buy from companies, they buy from people. Relationships are everything. There’s customer satisfaction and there’s customer loyalty. Reading responses like those above are quite humbling to me. It is encouraging that we have individuals with this much depth to them. A special thanks to our team for their participation. We believe it is a privilege to learn something new each day. For more information, contact OCP here.